Mineral Fusion is one of those brands that I've only just scratched the surface of. The newest additions to my collection have been key in my daily routine. 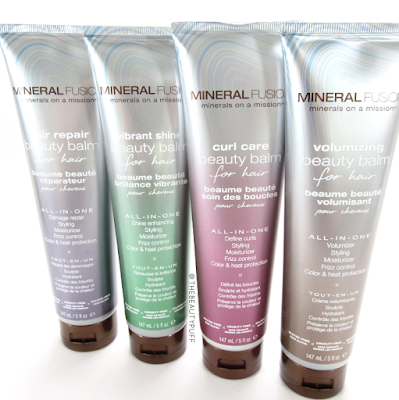 From makeup to haircare, Mineral Fusion has really impressed me. These products are just a small sampling of what they have to offer. Hair Beauty Balms | Each of these beauty balms caters to a different hair type. They can be used on wet or dry hair and help reduce frizz, hydrate, and keep your style smooth and manageable. I was amazed how well these worked on my thick, frizzy hair. You don't need much of the product and it doesn't leave any residue which I love. I've let my hair air dry and I can't believe how smooth and silky my hair was with the help of these beauty balms! They're also great for touch-ups. If you have wavy/curly hair you'll really enjoy the curl care balm to tame fly-aways! Not sure which Beauty Balm is right for you? I would definitely suggest starting with the hair repair beauty balm for all-around nourishment. Dry Shampoo | Dry shampoo is a necessity in my routine but this is the first tinted variety I have ever tried. Mineral Fusion makes two versions of this dry shampoo - one for light hair and one for dark hair. Both versions have Kaolin Clay to absorb oil and keep hair looking fresh all day. The formula is light-weight and infused with vegetarian Keratin as well as olive and lavender to improve health and lift. The bottle has a pump so product goes directly where you need it. If you prefer not to use aerosol sprays, this is perfect! I love how there's no wasted product or fumes. It's also a lot more travel-friendly. 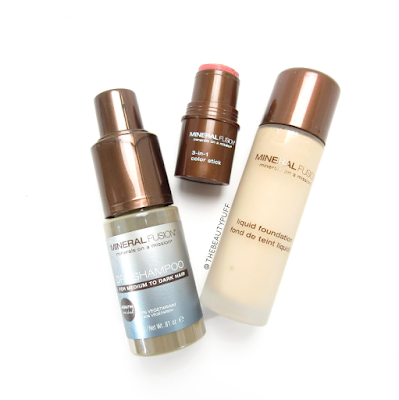 Liquid Mineral Foundation | For those days when I want a fresh, fuss-free foundation, this had been my go-to. It has a very natural finish and blends flawlessly. I always moisturize and prime before applying foundation, so I would suggest starting with those steps no matter what. Because I have oily skin I also set this foundation with powder to reduce shine and extend wear. I did have to blot during the day, as this is not a mattifying foundation. So if you're an oily skin gal like me, keep blotting sheets handy. The coverage is fantastic and the formula soothes with ingredients like aloe and shea butter. It also firms and prevents signs of aging with rosehip oil, pomegranate, vitamin C and a collagen-boosting Peptide. 3-in-1 Color Stick in Terra Cotta | This multi-tasker is definitely the star of the show for me. You know how I love my multi-taskers! 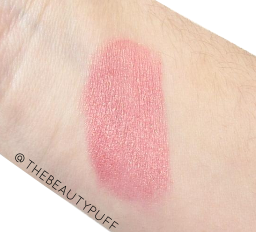 This 3-in-1 stick can be used on your cheeks, eyes and lips. For days I'm in a rush this little stick works wonders. The formula is smooth, blendable and long-lasting so it's perfect especially for summer. I have the shade Terra Cotta which is a gorgeous peach with a bit of shimmer. This shade is ideal for my light skin. It gives a glow on my cheeks, a pretty warmth on my eyes and a gorgeous hue on my lips that I can wear with virtually anything. I also love how compact it is so if you're traveling, this kind of product would be a life-saver to save space! Colors include Rosette, Terra Cotta, Berry Glow and Magnetic. Shop the entire Mineral Fusion line below.